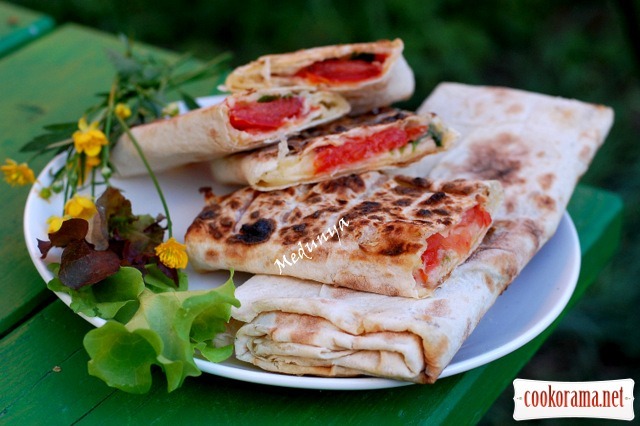 Of course, this is not pizza " Margarita ", because it has no basil, mozzarella and yeast dough.Though this theme «red-green-white» saved in range of colors. 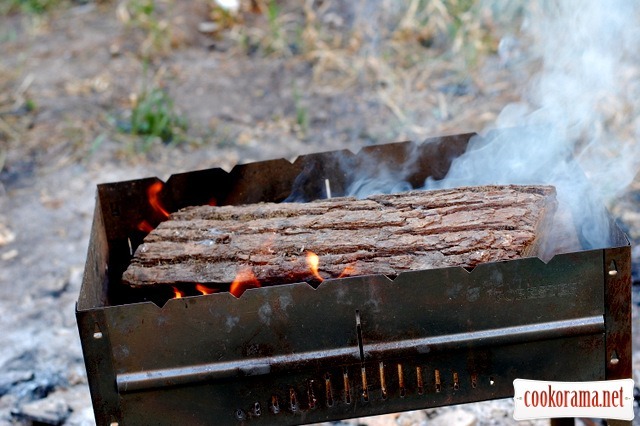 For rest on the nature near fire — exactly what you need! 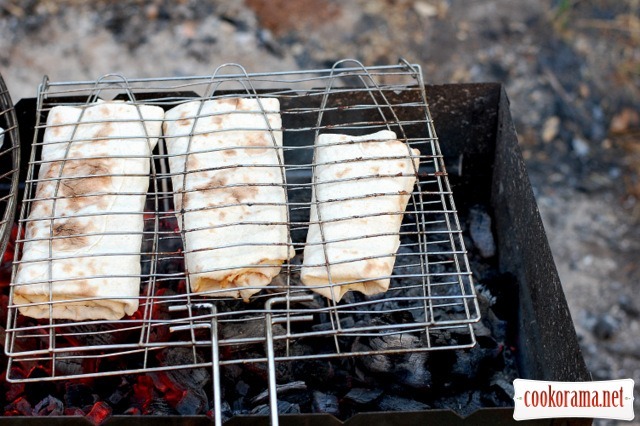 Fast, easy, simply no frills and all around do not go hungry while main grilled dish is cooked. 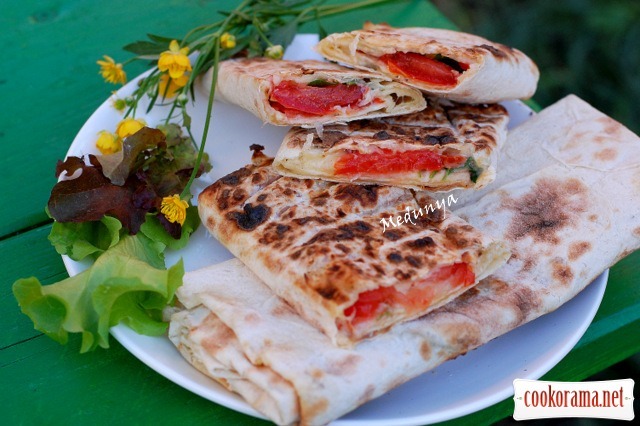 And the first turn fryon the grill, these «pizzas ». 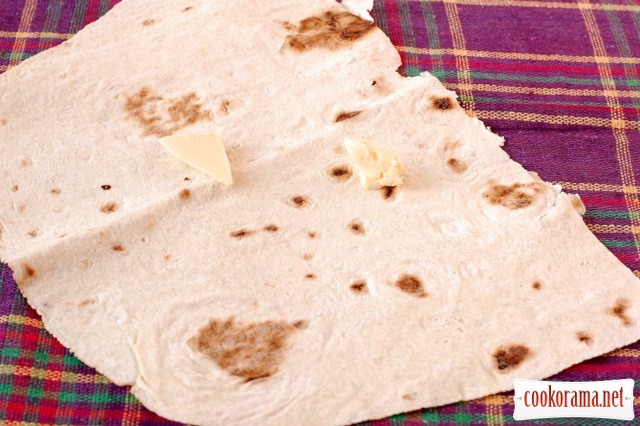 (They are fried very fast – keep looking, always turning). 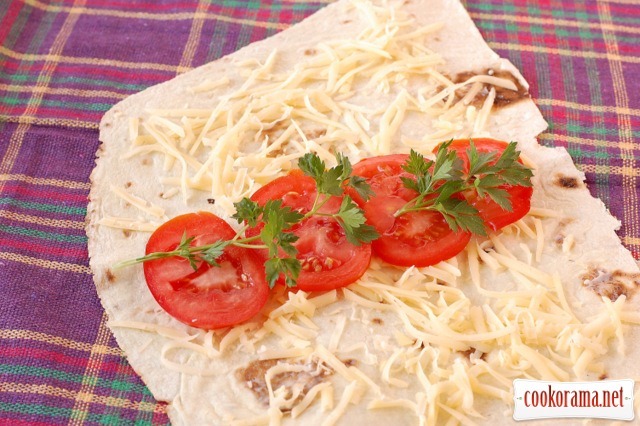 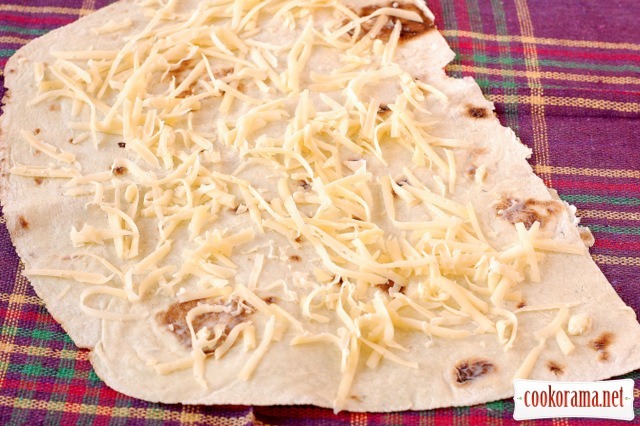 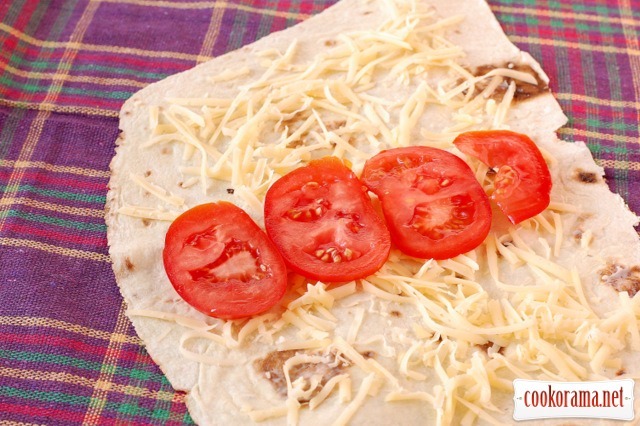 Top of recipe "Grilled lavash "A la pizza "Margarita""
дуже смачно виглядає, тай на смак добре. 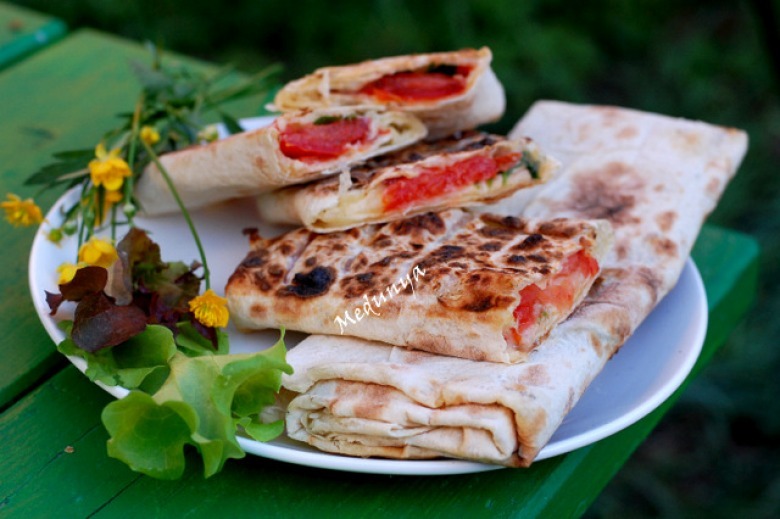 Recipes, Hot appetizers, Grilled lavash "A la pizza "Margarita"